CHIFF is gone. What does CAPP portend? The Children in Families First (CHIFF) legislation died a slow death surrounded with silence. You can read the Post-Mortem here. It is possible, but unlikely, that CHIFF could be re-introduced in the 114th session of Congress, which recently convened. 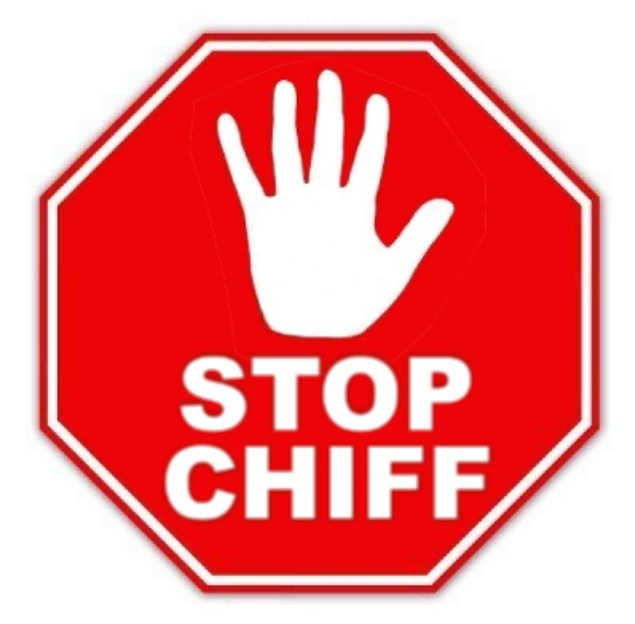 What have the former proponents of CHIFF been working on, since the CHIFF legislative campaign failed? The main website for Children In Adversity is here. Each of the objectives requires significant implementation, which likely also will involve signficant funding and legislation. The CAPP Steering Committee includes former CHIFF proponents Joint Council on International Children’s Services (JCICS), Kidsave, and the Congressional Coalition on Adoption Institute. Other Steering Committee members are Arms Around the Child, Child Fund International, World Vision, and Save the Children. The co-chairs of the Steering Committee are Tom DiFilipo of JCICS and Greg Mann of Save the Children. Information from JCICS about CAPP is available here, including a link to a survey which allows you to become involved with CAPP. Government agencies working to implement APCA, along with CAPP, include (but are not limited to) US Agency for International Development (US AID), Centers for Disease Control (CDC), the National Institute of Health (NIH), the President’s Emergency Plan For AIDS Relief (PEPFAR), the US Department of Agriculture, the US Department of State, the Peace Corps, and more. The three core objectives are the “principle objectives” outlined above. Three of the countries have been named so far for assistance: Cambodia, Rwanda, and Uganda. The members of the Global Alliance include US AID, World Childhood Foundation, Childhood, Maestral International, Save the Children, Lumos, GHR Foundation, US Department of Labor, World Bank Early Child development, and USB Optimum Foundation. One of CHIFF’s goals had been to establish a USAID Center for Excellence for Children in Adversity (USAID CECA), so this is one overlap between CHIFF and CAPP, in that the center has indeed been established, and apparently funded as well. More information is available here. This is not by any means an exhaustive explanation about the players and policies involved in the implementation of the Action Plan for Children in Adversity and CAPP. I urge you to take a look at the links and learn more. Huge expenditures of money and time have been and will be spent on this enormous project. If vulnerable children and families are genuinely and substantially helped, that should be applauded. So, what does that mean for international adoption? Please see Part 2, available tomorrow. For quite a while, there has been deafening public silence from supporters of the Children in Families First (CHIFF) act. CHIFF is an international child welfare bill that sounds so good and reasonable: of course all children deserve safe, loving families. It is, though, full of flaws, and never gained the momentum that the proponents (mostly adoptive parents and adoption agencies/lawyers) thought it would. The last piece of “News” on the CHIFF website was in June. Their Facebook site has articles about adoption, but nothing for months about the legislation. Sen. Mary Landrieu, a vocal proponent of adoption-related legislation during her tenure in Congress, lost her recent election, and thus her influence will be gone from Congressional actions. She was the leader on CHIFF, which has a 5% chance of being enacted at this point. 1–The #flipthescript social media movement during National Adoption Month (November), in which adult adoptees (US and international) have shared their experiences and perspectives. Perhaps all the CHIFF meeting participants will watch the excellent video produced by the talented Bryan Tucker featuring 8 powerful women from the Lost Daughters’ writing collective. 2–E.J. Graff’s November article “They Steal Babies, Don’t They?” The article focuses on Ethiopian adoptions, includes documents attained through the Freedom of Information Act, and provides cross-referenced lists of adoption agencies’ activities. 4–Ethiopian Adoption Connection, a free, powerful, grassroots effort which has been successfully reuniting adoptees around the globe with their Ethiopian original families. Many people have found very different information than what they were told at placement. An important corollary is the increasing amount of adoptee-centric and adoptee-led organizations in many countries, such as KoRoot and GOA’L (for Korean adoptees traveling back to Korea). The Facebook group Ethiopian Adoptees of the Diaspora is another example of the increasing presence and power of adult adoptees, who are increasingly engaged in adoption policy work. 5–The failure of CHIFF as introduced and currently to not include retroactive citizenship for international adoptees. More information is available here. 6–The reality that international adoptions in the future will have/must have some form of openness, and thus adoption practice must include far better and long-ranging services to original families, wherever they are in the world. 7–The reality and divisiveness of racism in the US, and how that affects all families involved with transracial adoption. This is a huge, raw, real, vitally important matter. Huge. If indeed CHIFF proponents are meeting soon, let’s hope all the above items are on their agenda. These Discussion Items are big and complicated. Resolving them will require, at a minimum, the transparent inclusion of adoptees and of first/original parents if the legislation is truly going to make viable changes in child welfare. That’s the first, overdue step. Latest news, as of September 17: The trial of Mary Mooney and James Harding has been rescheduled for January 15, 2015, and it is possible there could be additional continuances. Both are out on bail at this point, and forbidden from working in adoption. Following the February 2014 indictment by the US Department of Justice of the adoption agency International Adoption Guides, three former staff members were arrested for fraud and bribery involving Ethiopian adoptions. One staff member, Haile Mekonnen (the IAG program director in Ethiopia) remains, apparently, in Ethiopia. Of the three arrested, Alisa Bivens (IAG Ethiopian program director in the US) pled guilty and is awaiting sentencing. You can read more here. The trial of the other two US agency staffers, Mary Mooney (IAG Executive Director) and James Harding (IAG International Programs Director), was scheduled to start tomorrow, September 16, in South Carolina District Court, but it looks like it will be rescheduled. This is not unusual in our court system, and happens for a number of reasons. Maybe the lawyers need more time, or the defendants are working on a plea agreement, or there is more evidence that needs to be shared and reviewed. Alisa Bivens will be sentenced later this year. In the meantime, victim statements are still being accepted by the Department of Justice Victim Advocate office. I urge all families who were victims of the IAG crimes–fraudulently obtaining adoption decrees and signing off on adoption contracts, misrepresenting information about children and adoption, submitting counterfeit forms to the US State Department, and bribing Ethiopian officials–to speak up. While it is heartening that the prosecution and punishment of IAG officials are moving ahead, it is dismaying (unconscionable, horrifying, unbelievable–I’m not sure of the right word) that this even happened. So much grief, loss, and heartache for so many children and families, in the US and in Ethiopia. Adoption agencies, adoption-related organizations, COA (the Hague accrediting entity), and others are, I hope, looking long and hard not only at the crimes allegedly committed, but also at what services have been and should be offered to all the families who were affected by this. I hope they speak up for the children and families as well, acknowledging what is at stake here and how justice might be achieved. Given that IAG is obviously out of business, how will adoption agency professionals step up and speak out? What standards will the supporters of Children in Families First insist on? How will this affect future families placing their children and those adopting? How will governments and agencies work to ensure that adoptions are not based in fraud and corruption? Many victims here. Please speak up. Amid the Silence, Would CHIFF Give Up on Adoption? It must have seemed like such a slam-dunk when the proponents of the Children in Families First act began to develop their plans for orphans. Who would oppose children needing families? Since the bill’s introduction many months ago, though, it’s been a slow motion dribble to any movement, never mind passage, and the game clock is ticking loudly. Recently the website, the Facebook page, and the Twitter account of CHIFF have all been noticeably silent. Drawing from my time a while back in legislative advocacy, I am guessing that this means they are taking a new tactic, probably still lobbying on Capitol Hill, and probably considering making some concessions.They may have grown tired of having their information countered and questioned by people like me who believe, yes, children deserve families, but, no, CHIFF is not the right approach. That silence on those issues speaks volumes. CHIFF has a few more cosponsors, but proponents have chosen not to draw attention to them publicly as they had previously done. The recent House Foreign Relations Committee hearing on Africa’s orphans was not a strategic success. The upcoming trial of International Adoption Guides via Department of Justice indictment has not helped. Court cases of adoptive parents for abuse and deaths of their internationally adopted children (Hana Williams, Hyunsu O’Callaghan, and the Barbour children are just a few examples) cast a tragic long shadow. Increasing numbers of internationally adopted children now in the US foster care system is of concern–at least, I hope it is. CHIFF is silent on that. How about dropping international adoption from the bill, since that has been the main point of contention? CHIFF proponents have argued occasionally that the bill is not really about adoption, though that’s hard to believe, since almost all their endorsers and Executive Committee are adoption-related, and prospective and current adoptive parents are the main supporters. Would that crowd, and the Congressional staffers and sponsors, rally and promote (through Facebook, Twitter, and their website) family preservation and reunification, instead of adoption? That would mean some $60 million for vulnerable children in adversity, not for a new bureaucracy or a small number of children who would benefit from adoption. Many more children would benefit from remaining with their families and not entering orphanages; many more mothers would not have to lose their children because of poverty. Then perhaps we could all turn to genuinely overhauling and improving the international adoption process, with input from adult adopted persons and international first parents, not just adoption agencies and adoptive parents, and with a goal of addressing current, real needs in the adoption community. That is something I could cheer for. It’s true. There are listings of African children (from Ethiopia and elsewhere) who are now available for adoption through the US foster care system. Here’s the deal: these children left their first country, after their American parents had (we hope) followed all legal requirements to adopt them. They then lived with those parents, in the US, with all those adjustments of internationally adopted children. Then those parents terminated their parental rights (voluntarily or otherwise), the children ended up in foster care, and now they have to find another family. Since they usually become US citizens upon arrival to the United States, internationally adopted children who end up in US foster care may not be immediately or publicly identified as international adoptees. I feel confident there are plenty of other internationally adopted children (from Russia, Guatemala, Haiti, and elsewhere) who have joined the approximately 100,000 children looking for families through the US foster care system. Children in foster care spend an average of 2 years there, while reunification and adoption are considered. About half the children in US foster care return to their families. That does not seem a possibility for these internationally adopted children: they can’t return to their original countries, and they no longer have a US family. Black American infants, primarily from Florida, are being placed with Canadians, ostensibly because many of the mothers don’t want their children to face the racism here in the United States. Petitions and protests are being heard from American parents who have legal custody of children from the Democratic Republic of Congo, which is not issuing exit visas to the children, because of concerns around fraud and corruption. The Facebook site Second Chance Adoptions has many postings about internationally adopted children from Congo, Russia, Ethiopia, and elsewhere, whose placements with their American families have disrupted, and now they need new families. These children aren’t in public foster care, and they aren’t being re-homed in a Wal-Mart parking lot. I’m not sure who has legal custody of them, but the process and expense, I imagine, for a new family will be the same as a private adoption here in the US. In these cases, though, it’s the (first set of) adoptive parents who will sign legal rights over to the (new) adoptive parents. Many of the adoptions are eligible for the adoption tax credit. I wonder how many of their first adoptions were also eligible for the tax credit. I can only how imagine how they learned that sobering bit of information. I have a few questions, although my head is spinning. What more evidence do we need that better pre-adoption screening and better post-adoption resources are needed? What is the trajectory for these internationally adopted children who arrive in the US and then their adoptive placement falls apart? Do the US adoption agencies which placed the children the first time have an ethical responsibility to the children? And the second time? What does that responsibility look like? What is their ethical responsibility to the country of origin, if not the family of origin? How does the US foster care system deal with the needs of internationally adopted children? How are their needs different from US children born here, raised here, and placed in foster care here? Children generally end up in foster care because of abuse and neglect. The international children would likely also have experienced that either in their country of origin or here in the US or both, but have some extra losses by virtue of leaving their countries. All children deserve safe and loving families. I hope that all these children find families and healing. What is going on with our child welfare system? Before we consider anything like the Children in Families First act, we need to resolve the many issues facing current international adoptees. My head hurts and my heart aches. That discomfort pales beside what these children are going through. Dr. Joyce Maguire Pavao, the highly regarded, nationally- and internationally- known clinician, has written a thoughtful, insightful essay on the reasons she opposes the Children in Families First legislation (CHIFF). Joyce is also an adopted person. It is her perspective and experiences that should have been a core part of CHIFF from the start. Regrettably, she and other adopted adults were not consulted; their voices were excluded from the CHIFF discussions. From her web page: Dr. Pavao has done extensive training, both nationally and internationally. She is an adjunct faculty member in Psychiatry at Harvard Medical School and has lectured at Harvard, Smith, Wellesley, UCLA, USC, and Antioch, among other universities. She has consulted to various public and private child welfare agencies, adoption agencies, schools, and community groups, as well as probate and family court judges, lawyers, and clergy. Additionally, she has worked closely with individuals, couples, and families with adoption-related issues, foster care issues, guardianship and kinship, as well as complex families formed through reproductive technology, single parent families, gay and lesbian families, and families through remarriage. Please see her information about Pavao Consulting and Coaching. Thank you, Joyce, for this powerful essay. All of these -in this order -are far better than institutional care for a child who deserves to be in a family first. The problem with this CHIFF legislation plan is that not enough education and funding goes into working on the first three preferences for the child, and it seems ‘easier’ and more in keeping with the ‘business’ of adoption to skip right to international. This move is often a gateway into illegal and unethical maneuvers that provide more children, for more fees, and that pay no attention to the realities of the birth families and the child. These children are often not orphans and not without extended family and community, but become legal orphans against the knowledge or will of their people. It is disconcerting that many proponents of CHIFF are worried about a reduced rate of children available for waiting adoptive parents. The adoptive parents are as much the victim of this unfortunate situation, as are the birth families and the children waiting. There will always be children who authentically need families, and families who- once they are educated -realize that in today’s world everyone can find each other, and the truth of the origins of every child will be revealed to their child eventually. Don’t we want our children to feel that their adoptions are just and ethical? Don’t we want that to be at the core as they deal with all of the challenges they will encounter? It is far from anti adoption to want to curtail the huge industry that is a part of international adoption (and sometimes domestic), and that sometimes involves child trafficking and other illegal and unethical practices. To think about the infant or child in each adoption, as he/she will later in life be making sense of what has happened in his/her life. My famous quote from years ago is “adoption should be about finding families for children and not about finding children for families.” This holds true. The child welfare people finding the families must be sure that efforts have been made to reunify, locate kin , find proximal families, before moving to international searches for families for that child. It is the highest order of honoring our adoptions of old (and I am an old adopted person) by being ethical, legal, and compassionate of the child in current adoptions, and by making efforts for connections to be preserved for that child. Children should be in families first – their original family, the families of kin, the families nearby and finally – if all else truly fails after true searching -then in families waiting in other countries. This work should be about the child, but not just the infant or child on the present, rather the whole person that child will become, who will grow and change and wonder and grieve. We have to stop seeing adoption as a business and an industry or a mission, and realize that we are manipulating individuals and families, we are causing a great deal of loss, trauma, pain and distrust in doing things in ways that are not meant to be, and in ways that both physically and emotionally cut the child off from connections that will be healing and important to their entire family, which will include both family by birth and by adoption. I am far from anti adoption. I am a product of it- and it has happened for centuries. There are so many people living in adoption throughout the world, and because adoption will continue to happen forever, it must be the right thing. It must be ethical, legal, just, compassionate and transparent – for the sake of the child.